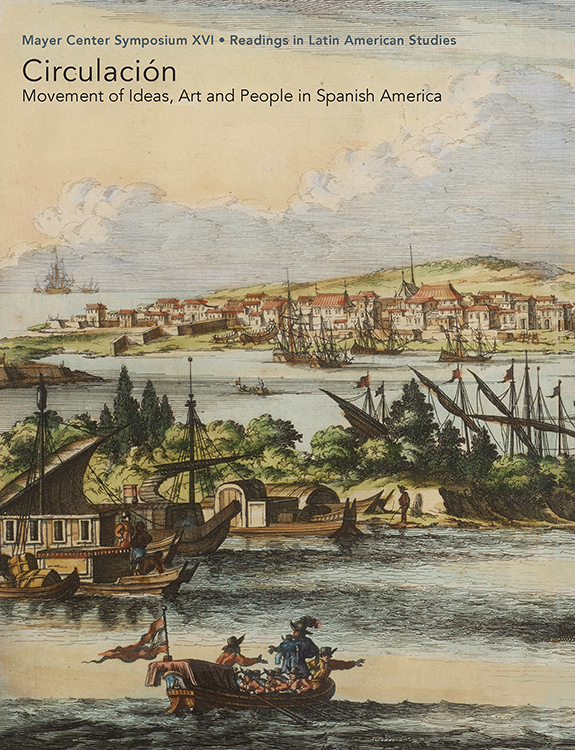 In this beautifully illustrated volume, an international group of scholars present recent research on the movement of goods, art, and artists--and the circulation of ideas and ideologies--that shaped culture in Spanish America from the beginning of the sixteenth century to the first half of the nineteenth century. Their essays, now revised and expanded, were originally presented in 2016 at the annual symposium of the Frederick and Jan Mayer Center for Pre-Columbian and Spanish Colonial Art at the Denver Art Museum, organized by Jorge Rivas Pérez. Mónica Domínguez Torres (University of Delaware) opens the volume by examining the early modern pearl industry and trade in post-conquest Spanish America, and the history of the short-lived town of Nueva Cádiz de Cubagua, off the coast of Venezuela. Gustavo Curiel (Universidad Nacional Autónoma de México) discusses issues of reception, adoption, and transformation of European print sources in the local production of furniture in the village of San Ildefonso Villa Alta in Oaxaca, Mexico. 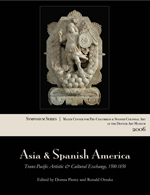 Esteban García Brosseau (Universidad Nacional Autónoma de México) explores cultural and artistic exchanges between South Asia, Southeast Asia, and Spanish America. Constanza Toquica (Museo Colonial, Bogotá) comments on the roles of specific images and iconographies, and their contribution to the construction of the colonial order in the viceroyalty of New Granada. 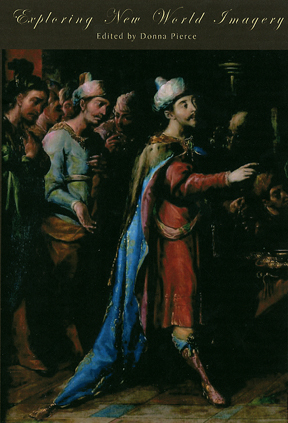 Rosario Inés Granados-Salinas (Blanton Museum of Art, Austin) explores the use of devotional images as rhetorical devices in Spanish colonial paintings. Rachael Zimmerman (University of Delaware) discusses the use of hammocks as an honorary mode of transportation in colonial Brazil. Idurre Alonso (Getty Research Institute, Los Angeles) discusses the never-realized city of Ville du Port de Napoleon (1807) in Hispaniola as a model where French and Spanish city planning models intersect. Natalia Majluf (Museo de Arte de Lima, Peru) focuses on the work of Peruvian portraitist of African descent José Gil de Castro (1785-c. 1841), a key figure in the rejuvenation of the arts during the years immediately following the independence of Peru. Distributed by the University of Oklahoma Press (September 2018) and the Denver Art Museum Gift Shop. 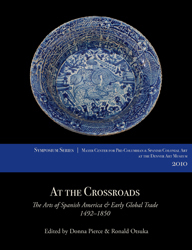 In 2014 the Denver Art Museum held a symposium hosted by the Frederick and Jan Mayer Center for Pre-Columbian and Spanish Colonial Art and co-organized by Donna Pierce, former Frederick and Jan Mayer of Spanish Colonial Art, and Emily Ballew Neff, Director of the Brooks Museum, Memphis. 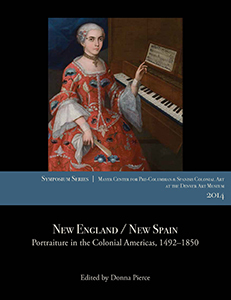 They assembled an international group of scholars to present recent research on portraiture in the Spanish colony of New Spain (Mexico) and the British colonies of North America. This volume presents revised and expanded versions of papers presented at the symposium. Michael Schreffler (University of Notre Dame) opens the volume with a discussion of portraits of Cortés and Moctezuma in sixteenth-century New Spain. Clare Kunny (Art Muse, Los Angeles) examines portraits of Antonio de Mendoza (1490-1552), the first viceroy of Mexico. Susan Rather (University of Texas, Austin) analyzes portraiture in colonial British America and landscapes included in them. Karl Kusserow (Princeton University Art Museum) explores selfhood and surroundings in British American portraits. Paula Mues Orts (National School of Conservation, Mexico) examines the portrait series commissioned and displayed in colonial Mexico by religious and civic organizations as a claim to power and prestige. James Middleton (independent scholar, New York) discusses clothing and accessories in New Spanish portraiture that allow a more precise dating of works. Jennifer Van Horn (George Mason University) follows the trans-Atlantic travels of portraitist Joseph Blackburn from England to New England and Bermuda. Kaylin Weber (Museum of Fine Arts, Houston) explores the career of American Benjamin West and his trans-Atlantic move from Boston to London. Elizabeth Kornhauser (Metropolitan Museum of Art) addresses the portraits of New England painter Ralph Earl, who struggled to fashion a new style for the young American republic. Michael Brown (San Diego Museum of Art) closes the volume by comparing the fate of portraits from New England and New Spain in nineteenth- and early twentieth-century America. Distributed by the University of Oklahoma Press (July 2016) and the Denver Art Museum Gift Shop. During the Spanish Colonial period in Latin America (1521�1850), precious gold and silver were crafted into elegant jewelry, then embellished with emeralds from Colombia, coral from Mexico, and pearls from Venezuela. To demonstrate their wealth and status, people were painted wearing their finest dress and elaborate jewelry. Selecting from its permanent collection, the Denver Art Museum installed the long-running exhibition Glitterati: Portraits and Jewelry in Colonial Latin America in its Spanish Colonial galleries (December 2014-November 2016). 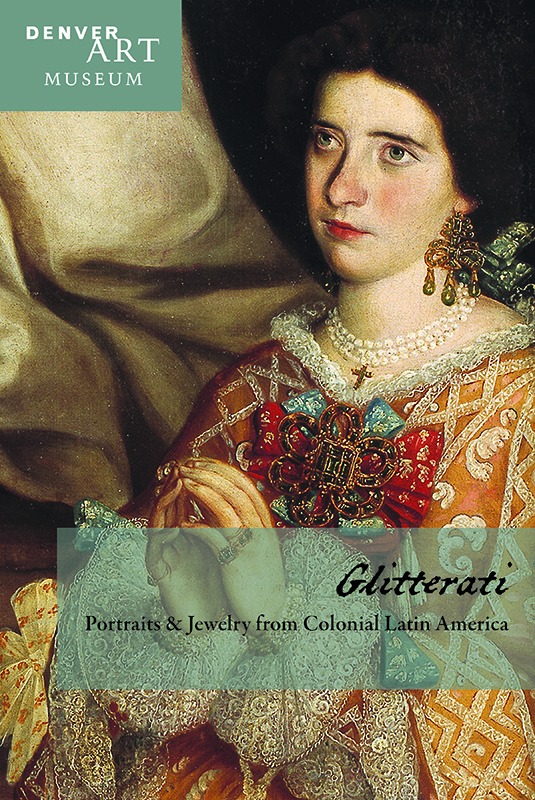 This lavishly illustrated publication serves as a companion to the Glitterati exhibition and, on a larger scale, to the collection of Spanish Colonial jewelry and portraiture at the museum. The Spanish Colonial collection at the Denver Art Museum is the most comprehensive of its kind in the United States and one of the best in the world with outstanding examples of painting, sculpture, furniture, decorative arts, silver and goldwork, and jewelry from all over Latin America during the time of the Spanish colonies. The Stapleton Foundation of Latin American Colonial Art, made possible by the Renchard family, gifted art acquired by the intrepid Daniel C. Stapleton between 1895 and 1914, when he worked in Ecuador, Colombia, and Venezuela overseeing plantations and emerald mines. Frederick and Jan Mayer worked closely with museum curators to build a collection of Mexican colonial art rich in many subjects and media, notably portrait paintings. 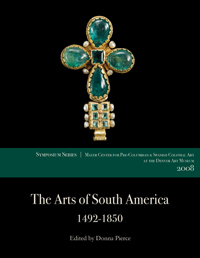 Examples from both of these major collections are augmented by other pieces of jewelry and portraiture from the museum�s permanent collection in the Glitterati exhibition and in this volume. Distributed by the University of Oklahoma Press (December 2015) and the Denver Art Museum Gift Shop (720.865.4488). Beatriz Berndt (Independent Scholar, Mexico City, Mexico), Gustavo Curiel (Instituto de Investigaciones Esteticas, UNAM, Mexico City, Mexico), Kelly Donahue-Wallace (University of North Texas, Denton, TX), Alexandra Kennedy-Troya (Universidad de Cuenca, Cuenca Ecuador), Susan Migden Socolow (Emory University, Atlanta, GA), Barbara E. Mundy (Fordham University, New York, NY), Frances L. Ramos (University of South Florida, Tampa, FL), Jorge F. Rivas Perez (Coleccion Patricia Phelps de Cisneros, Caracas, Venezuela). Distributed by the University of Oklahoma Press (September 2014) and the Denver Art Museum Gift Shop (720.865.4488). Michael Coe (Yale University), Frederick Lange (LSA Associates) and Ron Bishop (Smithsonian National Museum of Natural History), Michael Snarskis (Tayutic Foundation, Costa Rica), Warwick Bray (University College, London), (Denver Art Museum), Margaret Young-Sánchez (Denver Art Museum), Carol Mackey (California State University, Northridge) and Joanne Pillsbury (Getty Research Institute). Distributed by the University of Oklahoma Press (March 2012) and the Denver Art Museum Gift Shop (720.865.4488). Claire Farago & James Cordova (University of Colorado, Boulder), Dana Leibsohn (Smith College), Jaime Mariazza F. (Universidad de San Marcos, Lima, Peru), Maria Bonta de la Pezuela (Sotheby's, New York), Donna Pierce (Denver Art Museum), Sara Ryu (Yale University), William Sargent (Peabody Essex Museum), Suzanne Stratton-Pruitt (Independent Scholar). Distributed by the University of Oklahoma Press (December 2012) and the Denver Art Museum Gift Shop (720.865.4488). 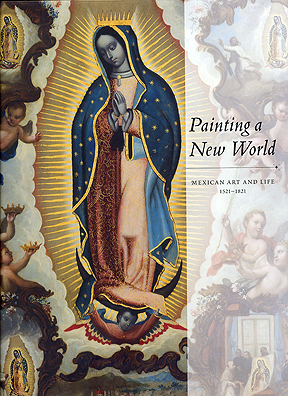 A lavishly illustrated primer to the Denver Art Museum's Spanish Colonial Art collection. The Denver Art Museum counts among its greatest resources a world-renowned Spanish Colonial collection rich in art from all over Latin America. Initiated in 1936, the Spanish Colonial collection has grown dramatically over the years to include more than 3,000 objects. It is the best collection of its type in the United States, and in many areas, it is the most comprehensive collection outside the country of origin. The museum's Spanish Colonial galleries include significant paintings, sculpture, furniture, silver, and decorative arts from the period. 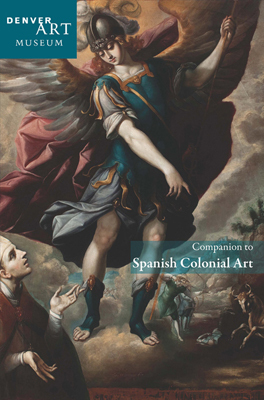 This lavishly illustrated volume--the first ever devoted to the museum's Spanish Colonial collection as a whole--serves as a primer to this stellar art collection, framing it within the historical context of the early modern world and the first era of global trade. Organized by theme rather than chronology, it features photographs of more than 100 objects from all areas of Spanish America and the southwestern United States. Subjects discussed include, but are not limited to, the continuity of native traditions, church and mission art, hybrid art forms, and the art of everyday life. Distributed by the University of Oklahoma Press (Late Fall 2011) for $19.95 and at the Denver Art Museum Gift Shop (720.865.4488). A companion catalog to an exhibition of the same name on view at the DAM 6/11 - 9/18/2011. Long virtually unknown to the North American and European audiences, the Amazon Basin is now recognized as a cradle of cultural and technological innovation in the ancient Americas. The hemisphere’s earliest known ceramics (about 5000 B.C.) were produced there, and archaeology is revealing the remains of large settlements, ancient mound structures, and extensive water management systems, all built over the course of centuries. 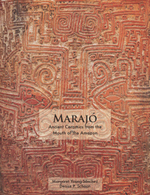 Marajó Island, located at the mouth of the Amazon River in Brazil, was home to one of the region’s most populous and sophisticated ancient societies (A.D. 300-1300). Beautifully decorated ceramics deposited as offerings in ancient Marajó cemeteries attest to the technical skill and artistry of Amazonian potters, and the complexity and sophistication of their cosmology. Lavishly illustrated in this volume is the full range of forms, drawn from the collections of the Denver Art Museum, the Barbier-Mueller Museums of Geneva and Barcelona, the University of Pennsylvania Museum of Archaeology and Anthropology, the American Museum of Natural History, and private collections. 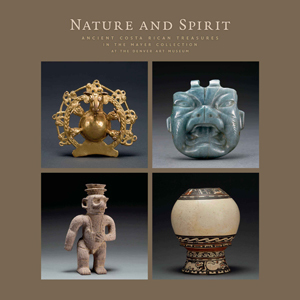 Generously illustrated and engagingly organized, Nature and Spirit is both an excellent introduction to Costa Rican art and an essential addition to any collection on native peoples of the Americas. 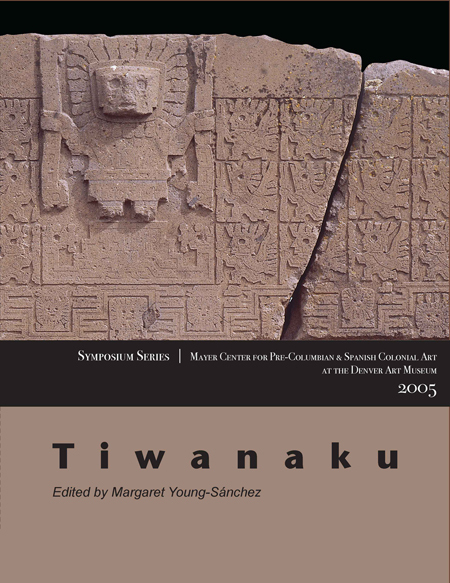 Essays by art historians Margaret Young-Sánchez (Denver Art Museum) and Heather Orr (Western State College, Colorado), archaeologists Michael Snarskis (Costa Rica) and John Hoopes (University of Kansas), and anthropologist and linguist David Mora Marín (University of North Carolina, Chapel Hill) illuminate ancient Costa Rican artistic styles, as well as cultural and religious beliefs, and place the works in archaeological context. Distributed by the University of Oklahoma Press (January 2011) and the Denver Art Museum Gift Shop (720.865.4488). Luisa Elena Alcala (Universidad Autonoma de Madrid, Spain), Michael Brown (Denver Art Museum), Thomas B.F. Cummins (Harvard University), Sabine MacCormack (University of Notre Dame), Jorge Rivas Perez (Coleccion Patricia Phelps de Cisneros, Caracas, Venezuela), Nuno Senos (Universidade Nova de Lisboa, Portugal), Susan Verdi Webster (College of William & Mary). Distributed by the University of Oklahoma Press (November 2010) and the Denver Art Museum Gift Shop (720.865.4488). Clara Bargellini (Universidad National Autonoma de Mexico, Mexico City), Roxanna M. Brown (Southeast Asian Ceramics Museum, Bangkok University), Gustavo Curiel (Universidad National Autonoma de Mexico, Mexico City), Abby Sue Fisher (Keweenaw National Historic Park, Michigan), George Kuwayama (Los Angeles County Museum of Art), Meiko Nagashima (Kyoto National Museum), Sonia Ocana Ruiz (Universidad National Autonoma de Mexico, Mexico City), Jorge Rivas Perez (Coleccion Patricia Phelps de Cisneros, Caracas), Etsuko Miyata Rodriguez (Universidad de Santiago de Compostela), Sofia Sanabrais (Los Angeles County Museum of Art), Marjorie Trusted (Victoria & Albert Museum, London). 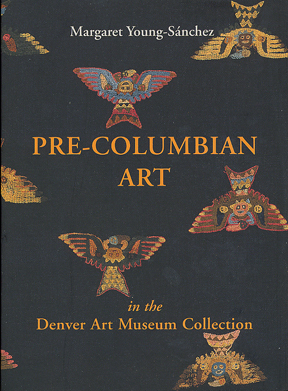 Distributed by the University of Oklahoma Press (September 2009) and the Denver Art Museum Gift Shop (720.865.4488). Leonardo Benitez (University of Pennsylvania), Susan E. Bergh (Cleveland Museum of Art), Christiane Clados (Free University of Berlin), William J. Conklin (Field Museum of Chicago and The Textile Museum, Washington D.C.), Georgia de Havenon (Brooklyn Museum), John Hoopes (University of Kansas), William H. Isbell (State University of New York, Binghamton) and Patricia J. Knobloch (Institute of Andean Studies), Krzysztof Makowski Hanula (Pontifica Universidad Católica del Perú, Lima), Alexei Vranich (University of Pennsylvania), Patrick Ryan Williams (Field Museum of Chicago), R.T. Zuidema (University of Illinois, Urbana-Champagne). Distributed by the University of Oklahoma Press (March 2009) and the Denver Art Museum Gift Shop (720.865.4488). 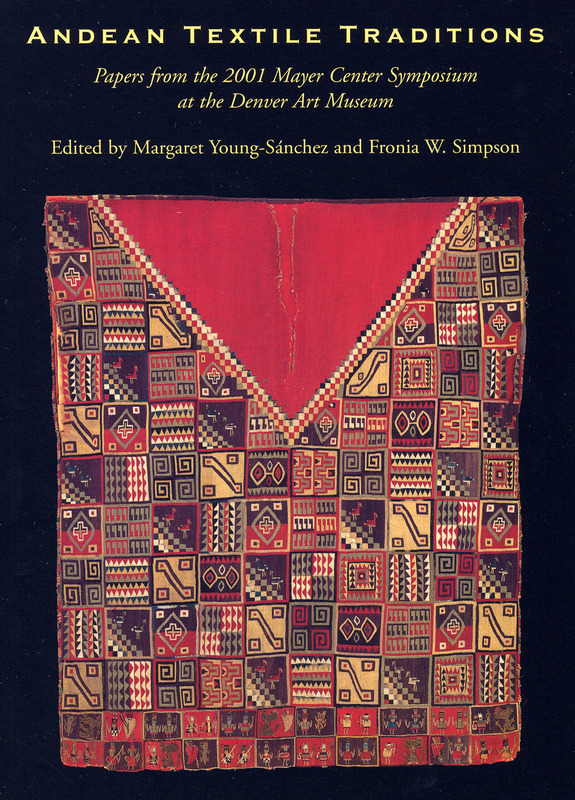 With essays by Ran Boytner (Cotsen Institute of Archaeology at UCLA), Andrea M. Heckman (University of New Mexico), Marianne Hogue (Virginia Commonwealth University), Joanne Pillsbury (Dumbarton Oaks), Jane Rehl (Savannah College of Art and Design) and Margaret Young-Sánchez (Denver Art Museum). 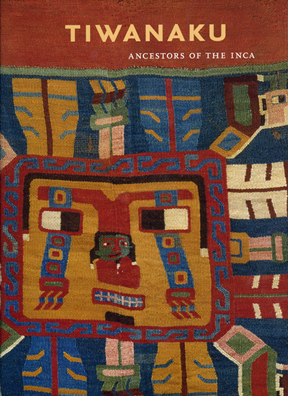 Distributed by the University of Texas Press (Spring 2006) and the Denver Art Museum Gift Shop (720.865.4488). With essays by Carolyn Dean (UC, Santa Barbara), Samuel Y. Edgerton (Williams College), Juana Gutierrez Haces (Universidad National Autonoma de Mexico, Mexico City), Alexandra Kennedy-Troya (Universidad de Cuenca, Ecuador), and Jeanette Favrot Peterson (UC, Santa Barbara). Distributed by University of Texas Press (Fall 2005) and the Denver Art Museum Gift Shop (720.865.4488). A companion publication to an exhibition of the same name at the Denver Art Museum, October 2004 - January 2005. With essays by Sergio J. Chavez (Central Michigan University), Nicole C. Couture (McGill University, Montreal), Paul S. Goldstein (UC, San Diego), and Alan L. Kolata (University of Chicago), Mario A. Rivera (University of Chicago and Universidad Bolivariana, Chile). Distributed by the amazon.com and the Denver Art Museum Gift Shop (720.865.4488). 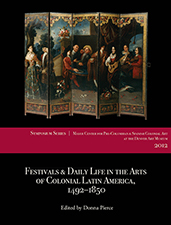 A companion publication to an exhibition of the same name at the Denver Art Museum, April - August 2004, and the Meadows Museum of Art at Southern Methodist University, September - October 2004. Distributed by the University of Texas Press and the Denver Art Museum Gift Shop (720.865.4488). 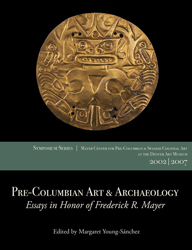 A compact survey of the arts of Pre-Columbian America from Mexico to Peru, illustrated with examples from the Denver Art Museum collection. Distributed by amazon.com and the Denver Art Museum Gift Shop (720.865.4488).